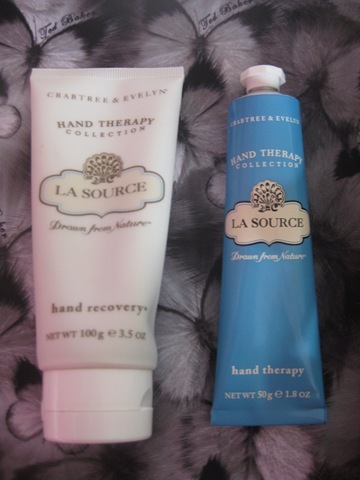 If you have dry hands that need a bit of nourishing then try Crabtree and Evelyn products- they do a great job! Firstly exfoliate your hands with the hand recovery (a hand scrub)- work into dry hands to exfoliate and get rid of dry, dead skin then rinse under running water while still gently rubbing hands. Then follow with the hand therapy (a hand cream) which leaves hands feeling really pampered and soft! For even more treatment you can use the age-defying hand remedy too. I have the La Source range (as above) which is the spa range that has a lovely fresh ‘sea air’ scent with extracts of sea algae.